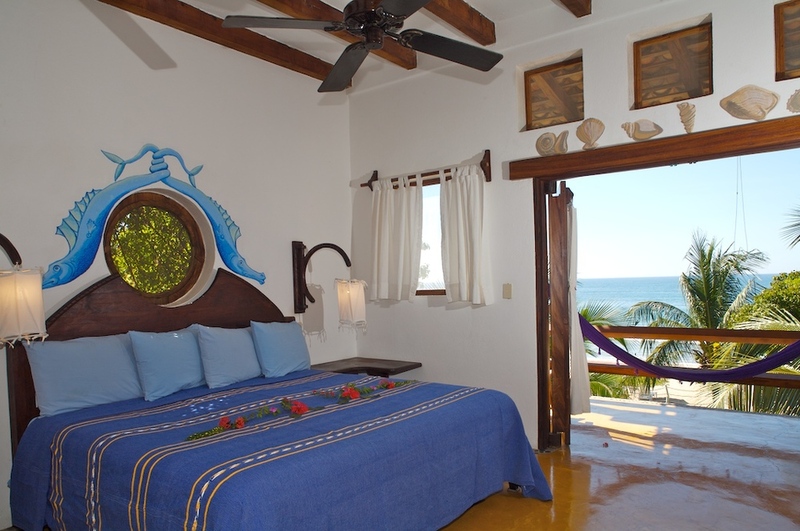 All of our rooms in the main hotel are $125.00 USD a night. This rate includes all taxes. The rooms feature traditional beamed ceilings with a ceiling fan, fully screened windows, a private bath, a secure lock box, unlimited purified water to drink, and a patio with a private hammock and dining area. Each room sleeps two persons, but we can add an extra bed for three (US$15.00 surcharge).